What is an even number ? Definition and examples. An even number is an integer that can be grouped in twos. 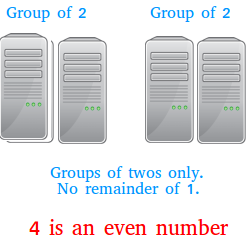 For example, it is possible to group 4 computers in groups of twos only. Therefore, 4 is an even number. As you can see from the illustration above, an even number is never going to have a remainder of 1 when you try to make groups of twos. In the example above, there are two groups of two computers. 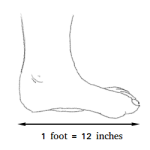 A negative integer can also be an even number as long as you can show that there is no remainder of 1. Do you see a pattern? The numbers in red do not change. The other number in black is an integer. Let n be an integer, then 2n is an even number. By definition, 0 is an even number since 0 times anything is 0 and therefore will never leave a remainder of 1.. The definition of even numbers apply only to integers! 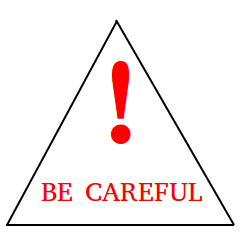 It would not make sense to say that a fraction, a decimal, or a real number is an even number.